Warner Bros. Games has decided that, following the disastrous launch of Batman: Arkham Knight on PC, they will be suspending all sales of the game until the widespread technical issues users are facing have been addressed. In a statement posted on the publisher's forum, attached below, WB Games apologizes to PC gamers who are experiencing performance issues with Arkham Knight. The company takes "these issues very seriously and have therefore decided to suspend future game sales of the PC version while we work to address these issues to satisfy our quality standards." Currently, the game is still visible in the Steam Store, although there is no link to purchase the title and there is no pricing information to be found. However, gamers yet to play Arkham Knight can still read a collection of "mostly negative" reviews about the game from fellow gamers. While WB Games asks for patience while the issues with the game are resolved, their statement includes a link to Steam's refund policy if gamers are not satisfied with the product that they have purchased. The launch of Batman: Arkham Knight has been nothing short of a disaster, with users everywhere reporting major performance issues on all sorts of hardware combinations, both Nvidia and AMD. The issues, which include stuttering and gameplay lag, seem to be present while gaming on both high-end and entry-level hardware, and changing the game's quality settings does not appear to have a large effect. Arkham Knight was allegedly ported to PC by a third-party development studio containing just 12 people, which might explain why so many people are experiencing issues playing it. 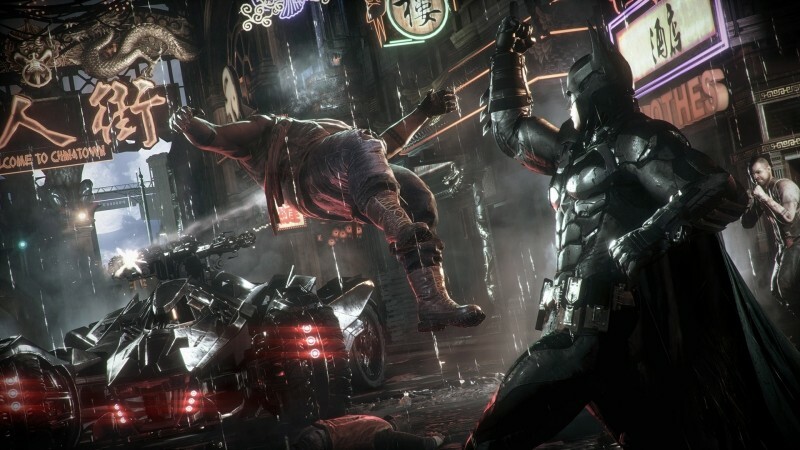 Even though Nvidia worked with the developers to integrate GameWorks effects, Arkham Knight still runs poorly on Nvidia hardware, even after installing the latest GeForce drivers. It's not very often that a company will pull a game from sales channels following a bad launch, but WB Games are obviously very concerned about the performance issues plaguing PC owners. The company is already working on an update to address the issues with the PC version.